Hangzhou, China, October 11, 2017 – Alibaba Group Holding Ltd. (“Alibaba Group”) announced today the launch of an innovative global research program, “Alibaba DAMO Academy (“Academy”),” which is designed to increase technological collaboration worldwide, advance the development of cutting-edge technology and strive to make the world more inclusive by narrowing the technology gap. With the setup of the Academy, the company expects to invest more than US$15billion in research and development over the next three years. The Academy, which stands for the “Academy for Discovery, Adventure, Momentum and Outlook,” will oversee the opening of research and development labs worldwide and seek to recruit talented scientists and researchers to join the program. Alibaba Group’s Chief Technology Officer, Jeff ZHANG will be the head of the Academy. In the beginning, the Academy will focus on the opening of seven research labs in China (Beijing and Hangzhou), the United States (San Mateo and Bellevue), Russia (Moscow), Israel (Tel Aviv) and Singapore. The labs will focus on both foundational and disruptive technology research including data intelligence, Internet of Things (IoT), fintech, quantum computing and human-machine interaction. Within those broad research areas, the labs will focus on topics such as machine learning, network security, visual computing, Natural Language Processing (NLP), etc. In addition, the Academy is currently looking to recruit 100 talented researchers from around the world. The labs will also collaborate with luminaries in the technology space and top educational institutions to explore technology breakthroughs aimed at improving the lives of technology end-users and boosting the efficiency and security of enterprises globally. For example, the Academy will cooperate with the University of California, Berkeley through its RISE Lab on areas such as secured real-time computing. 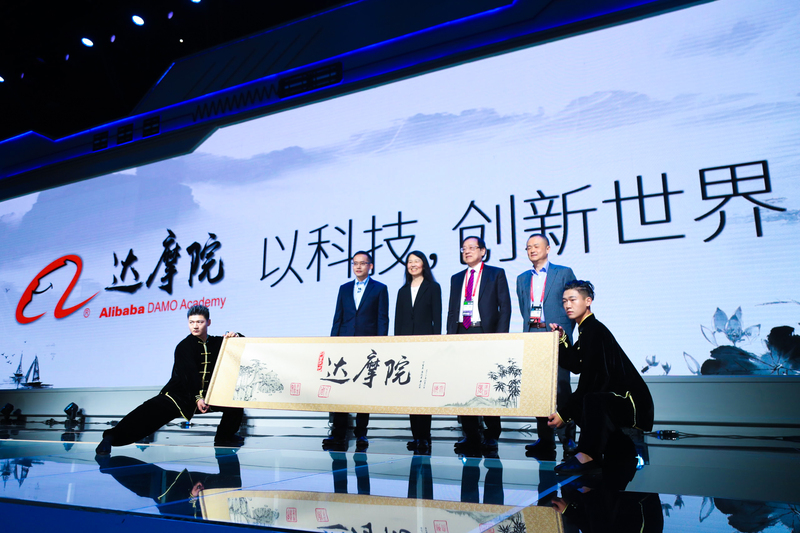 “The Alibaba DAMO Academy will be at the forefront of developing next-generation technology that will spur the growth of Alibaba and our partners. We aim to discover breakthrough technologies that will enable greater efficiency, network security and ecosystem synergy for end-users and businesses everywhere,” said Jeff ZHANG. “Over the past 18 years, we have developed a robust technology infrastructure that supports the rapid growth of our business. With our global expansion, we have grown and refined our technology manifold. We are now looking for talented and driven researchers to join us in the quest for new disruptive technologies that would advance our every-day lives, benefit small businesses and narrow the technology gap to make our world a more inclusive place,” Zhang added. The Academy is the first major global initiative to focus on developing the global technological capabilities and infrastructure that will enable Alibaba to fulfill its commitment to serve 2 billion customers and create 100 million job opportunities in 20 years. Alibaba now has around 25,000 engineers and scientists on its staff.